Silhouette shades act like two shades in one. You have a vane in the middle of two sheer exteriors. . The two sheers diffuse harsh sunlight while the vane can be tilted to achieve you desired level of light and privacy. 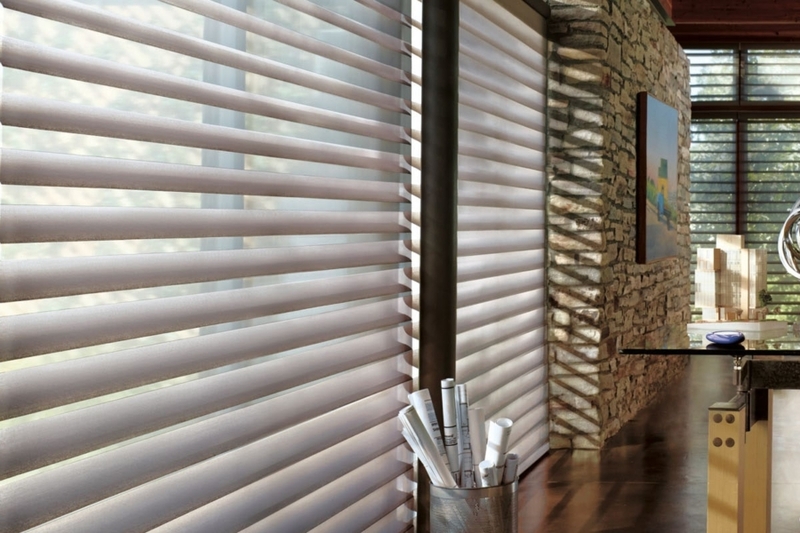 Our silhouette shades come with a number of options including motorized attachments that make opening an closing these shades a breeze. Comes in either two, three or 4 inch vane sizes, is soil and dust resistant and provides both solar heat control and ultraviolet protection. Without energy-efficient window treatments, as much as 50% of a home’s heating and cooling energy can be lost through its windows. 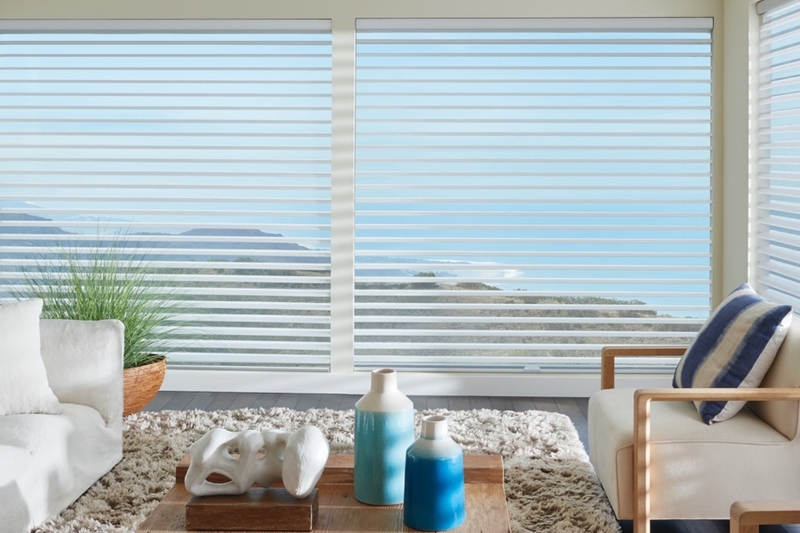 All of our Hunter Douglas window fashions provide window insulation, offering your home increased protection against heat loss during the winter, as well as minimizing the sun’s heat (known as “solar heat”) during the summer. 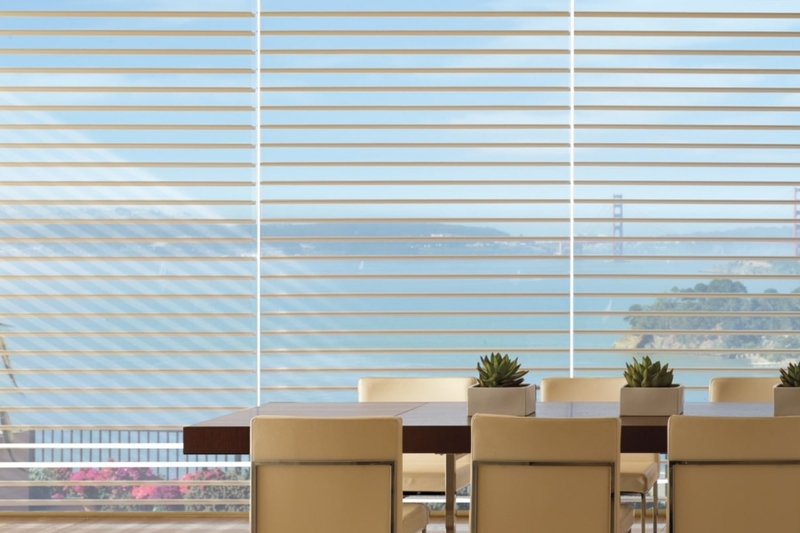 Maximizes your view with a unique combination of front and back sheers for superior view-through. The Silhouette Duolite® product offers the light-diffusing benefits of a translucent Silhouette shading with an integrated room-darkening roller shade.